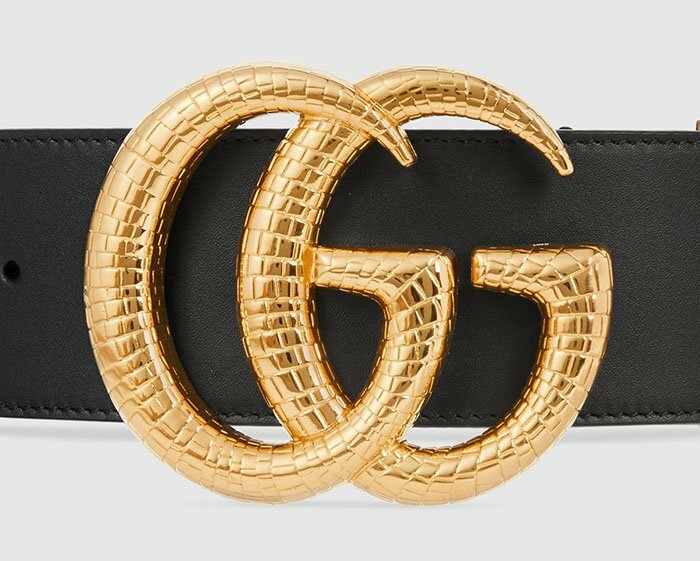 If you’ve been eyeing that Gucci belt on eBay but you’re still unsure of its authenticity, it’s time to put an end to your confusion. We’ve laid out nine ways to easily distinguish a fake Gucci belt from a real one. One of the things that you must know about Gucci is that they use an off-white shade for their boxes. If your box is looking a little too stark white, you probably purchased a counterfeit. Another thing to note is that fake Gucci boxes will almost always have logos that are fading at the corner. The Gucci logo is very thin and precise, which makes it a great litmus test if you have quality packaging in your hands. One Gucci belt stacked on top of the other: but can you tell which ones are real? The dust bag should have the label stitched only at the four corners – you should be able to put your finger under the label from all sides. Counterfeit dust bags are usually stitched completely down the sides, making it impossible to put your finger through. The fabric should be made out of silk. It is important to know that older dust bags come in the classic Gucci brown. The label is in gold and centered perfectly on the bag. For both variants, the drawstring must be positioned on the upper right corner. There should be a tag inside that says “Gucci made in Italy”. Gucci has taken on a much frivolous direction in the previous years so pinning down a list of classic materials in their repertoire is useless. Instead, you need to be familiar with the quality of their products with all five of your senses. The first thing you must look for is the quality of the buckle. For details with overlapping metal (as in the double G belt), the spaces in between the pieces should be tight. Fake buckles are usually sloppy with the fit and attachment of the pieces. Watch out for gaps in between the metal where there shouldn’t be. Another thing to note is that quality buckles are heavy and chunky. The design you should be clearly defined and precise almost to a fault. The closure pin on the back of the buckle is usually smaller and more delicate compared to fake ones. There should be no chipped paint anywhere on the buckle. Counterfeit belts, like the original, also use heat stamps to mark leather. From general observation, genuine Gucci originals are more generous and detailed with leather markings. However, this observation is not conclusive. Gucci also produces belts without markings, as well as quilted and embossed ones. 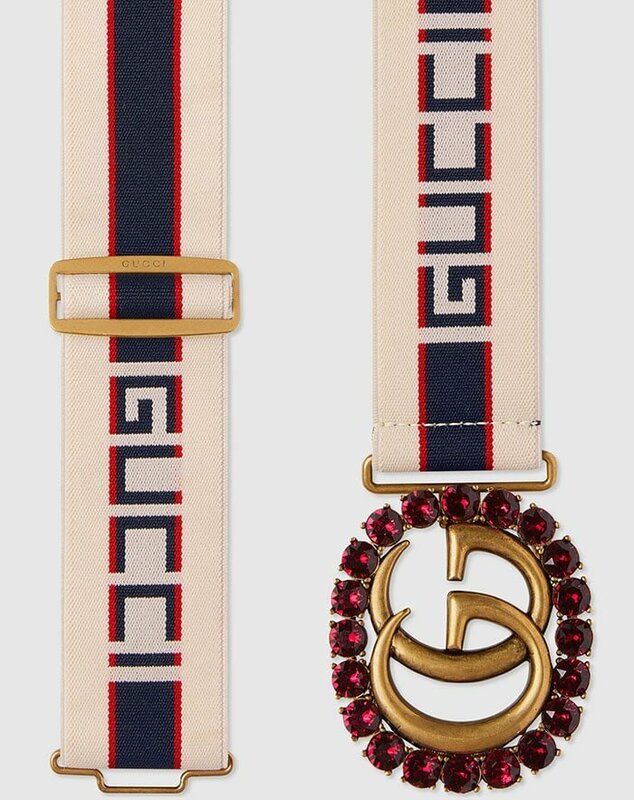 We recommend comparing the belt markings of the model you are looking to purchase with pictures from Gucci’s official website. Additionally, Gucci belts are made out of one continuous piece of leather or fabric. Be wary if you find any breaks or stitches in between. In the past, counterfeiters would take one set of numbers and slap it on across all their fake Gucci products. Today, they copy the exact serial numbers of specific models to put on their counterfeit goods. Fret not – the serial code still a great way to distinguish fakes from the real ones. While the numbers itself may not be as reliable as before, the way they are stamped on the belt can be a dead giveaway. Fake serial codes are usually more stretched out and placed farther away from the belt loop. The real ones usually look smaller and are placed much closer to the loop. Older Gucci belts have the serial codes stamped horizontally in the middle. 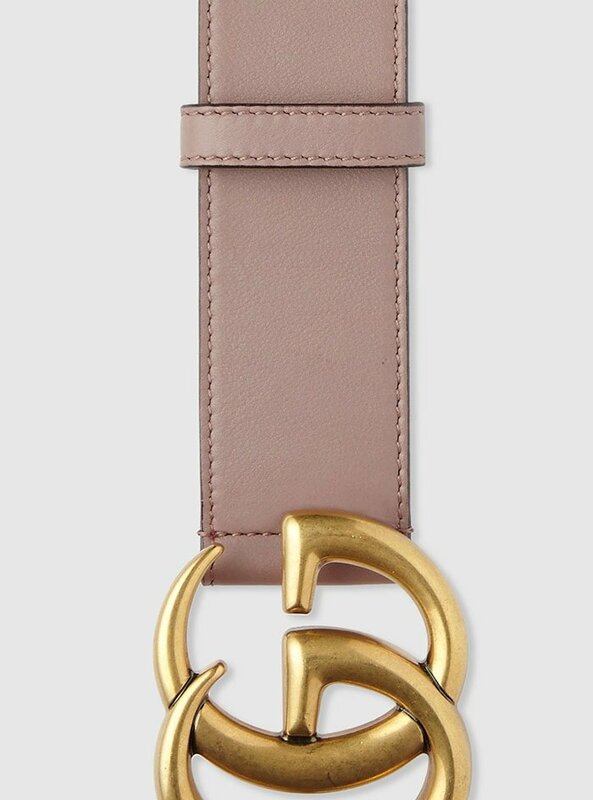 Visit Gucci stores and compare the details on the genuine belt. It’s harder to distinguish poor stitching on belts since there isn’t much sewing done on it. Genuine belts have shorter, even stitches while fakes use longer ones that don’t look as snug. Also, the thread is usually thicker in the real belts. The stitches are typically done close to the edges. There should be no fraying on any part of the belt. We know how exciting it is to see a Gucci belt for only a fraction of the cost. Before you convince yourself that the seller has reasons for selling a $500 for $30, heed our advice: click the x mark on your browser tab. Stay away from Gucci belts that are ridiculously cheap. Period. Watch out for high inventory products as well. One beautiful thing about Gucci’s craftsmanship is their respect for leather. They won’t punch holes into quality leather unless absolutely necessary. When it comes to belt loops, be wary of screws. Gucci belts typically have the loops sewn in – this entails a lot more work and a trained hand. Most fake belts use screws to attach the loop to the belt body. Gucci is pretty generous when it comes to uploading HD photos on their website. 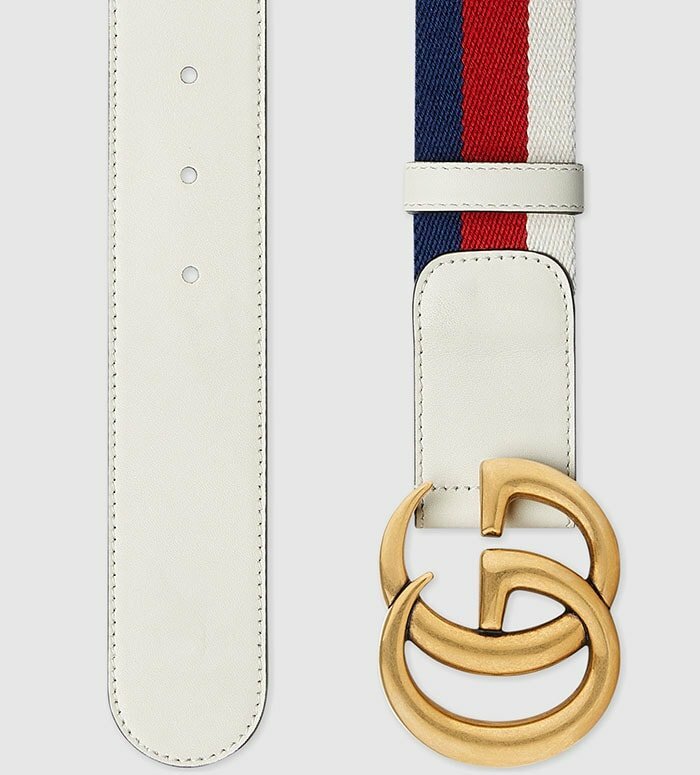 When in doubt, scrutinize each and every corner of the belt by hopping over to Gucci’s official website. While this is a great way to tell an original from a fake, we still recommend using your other senses in familiarizing yourself with luxury goods. Knowing the smell and feel of genuine products is a huge advantage over just looking at them on the internet. Choose your sellers wisely – read up on reviews, ask for referrals from friends, etc. If you can ask the sellers questions directly, ask as many as you can. Of course, nothing beats purchasing straight from Gucci and other officially affiliated stores. But if you’re looking to score real Gucci products for a smaller dent on your wallet, follow our tips and you’ll grow your authentic Gucci collection in no time.